I love Mem Fox, I really, really do. I love her books, her passion for children and reading, and the fact that she agonised for years about the placement of a comma in Possum Magic. 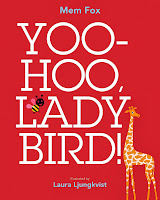 So, I was reasonably excited to get her latest book, Yoo-Hoo, Ladybird. As it turns out, the thing that I ended up liking best about the book wasn't that it was by Mem Fox, it was that someone had finally created and clever and age appropriate 'finding' book for very young readers. My kids love 'finding' books. You know the ones where they sit on your lap and together you scour the pages looking for the illusive little bus/doll/Wally or whatever. In that moment of togetherness, concentration and then triumph, parenthood is like what I pictured it would be before I had children. Bliss! The illustrations in Yoo-Hoo, Ladybird are bright, colourful and clear, plus they are full of things that are familiar to young children. 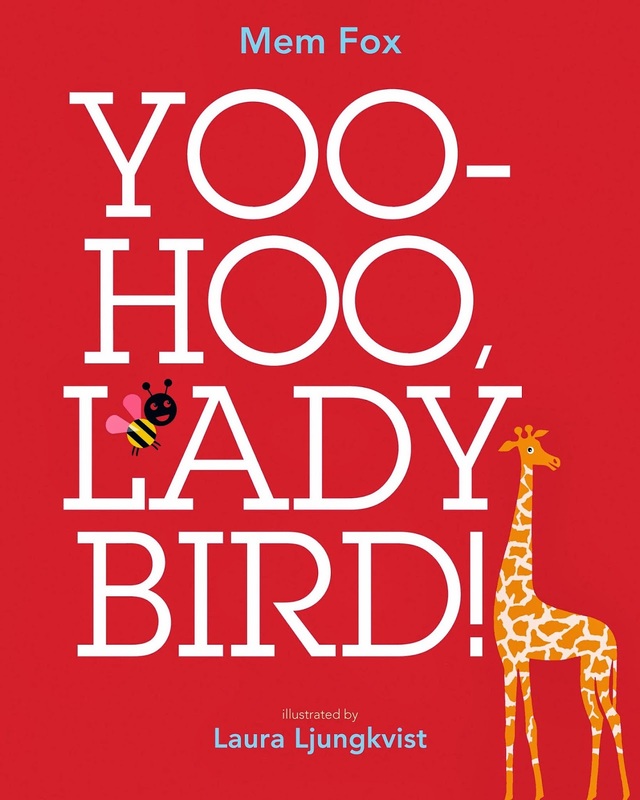 There isn't too much text (so you don't get distracted from finding the ladybird) but what there is rhymes, has lots of lovely repetition and engages little minds from the very first phrase; "Ladybird loves to hide." The level of difficulty is perfect for small children, say 2-year-olds, to start looking with Mummy or Daddy helping and then progress to finding the ladybird by themselves. Its also really nice that the answer is revealed in such an encouraging way on the next page so you can find it next time. To be honest, I didn't think that you could do a good finding book for such young children but here it is and it is awesome!